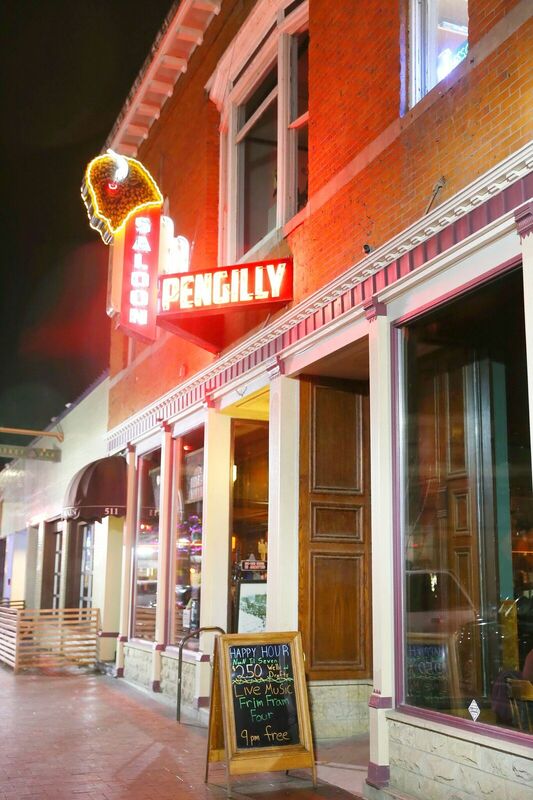 The historic Pengilly’s Saloon on Main Street in Boise has live music almost every night of the week. But since 2002, Thursdays have been reserved for the smooth and soulful sounds of local jazz band, Frim Fram 4. Donned in their white tuxedoes and black bow ties, Andrew Cortens, Greg Betzisky, Jonah Shue, and Cody Ramey are quite the sight to see. Shortly after 9 p.m., they begin their jazz melodies with Andrew on piano and Greg mastering percussion while Cody strums the bass and Jonah plays the guitar and violin. They each take turns singing iconic hits from Nat King Cole, Fred Astaire, Louis Armstrong, and many more jazz idols. The muted conversations in the background turn to movement as people begin partnering up—twirling hands, swinging hips, and feeling the groove of Frim Fram 4’s rhythmic patterns and distinctive tones. 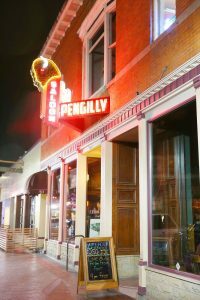 Pengilly’s Saloon fades into the distance and the dancing crowd is transported to a riverboat in New Orleans, gentle waters of the Mississippi pulling them downstream as they sway to the jazz beats under a moonlit sky. Each week, they have a dedicated group of regulars who come to enjoy the Frim’s spectacular music style. Cortens says the band loves seeing new faces, but they definitely have loyal groups of friends who show up without fail to dance and enjoy the music together. 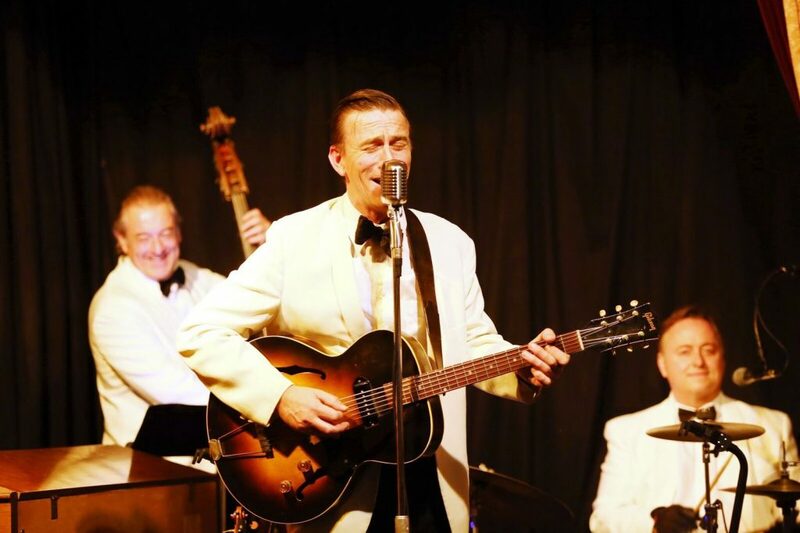 The Frim Fram 4 are always excited for their weekly gig at Pengilly’s, but as Mayor Dave Bieter has called them, they are also known as “the official band of Boise.” The Frim plays each year at the State of the City as well as at the Governor’s Ball. They also have played several non-profit events for places like Opera Idaho, the Gene Harris Jazz Festival, and the Salvation Army. And for the past three summers, they have taken over as the Green Show at the Idaho Shakespeare Festival. The Frim also teams up with students at Timberline High School to perform the school’s annual “A Night of Simply Jazz” event. Andrew and Greg like to further share their experiences by working with the Heirloom Dance studio, where the owners, Joel and Stephanie, partner the excitement of swing dance with the Frim’s eclectic jazz sounds. 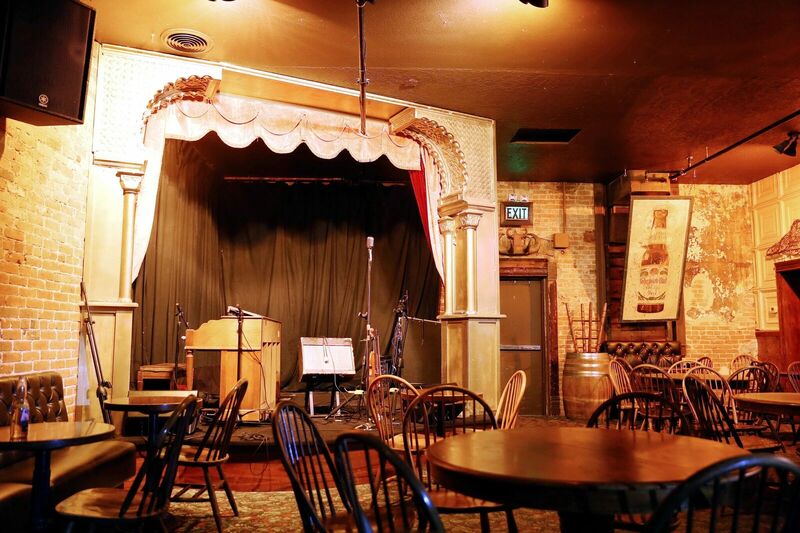 The Frim Fram 4 has maintained a lasting community of jazz lovers and friends throughout the Treasure Valley. They, like a never-ending river, play gleefully, reach hearts, and strike gold every time on the faces of their fans. Join Frim Fram 4 every Thursday night at Pengilly’s Saloon.